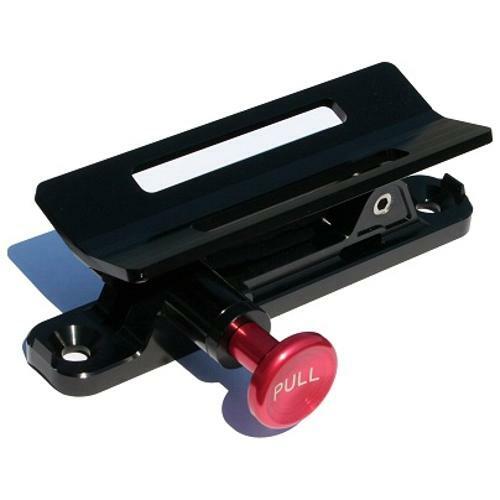 New Black Quick Release Fire Extinguisher Mount can be strapped to your roll bar or mounted nearly anywhere on the Bronco's body. 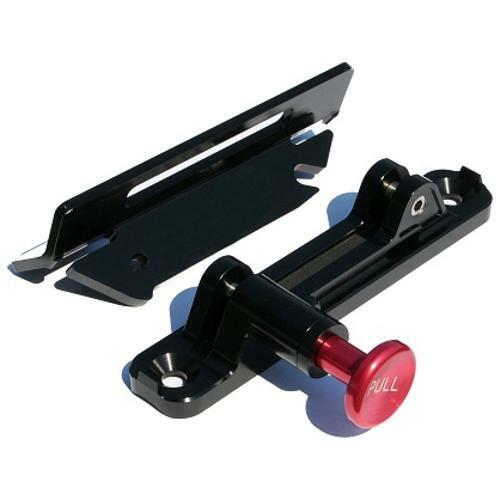 This mount includes a 2-piece design with quick release pull lever for easy quick access to your fire extinguisher in the case of an emergency. Does not include straps to mount fire extinquisher to mount or mount to rollbar. Custom straps are available or hose clamps will also work. Billet aluminum design looks great and won't rust.